The backbone of any business is its intellectual property. From its inventions to its software to even its name, the importance of protecting intellectual property permeates just about every facet of a business's day to day operations. iii) defense against infringement - including the use of cease and desist letters and other tools. Work for Hire Agreement (Composer / Musician) Work for Hire Agreement for a musician or composer. Work for Hire Agreement (Editor) Work for Hire Agreement for an editor. Work for Hire Agreement (Illustrator) Work for Hire Agreement for an illustrator. Work for Hire Agreement (Musician) Work for Hire Agreement for a musician. Work for Hire Agreement (Photographer) Work for Hire Agreement for a photographer. Work for Hire Agreement (Programmer) This Work for Hire Agreement for a programmer is designed for use in all states. This form is available for immediate download. Work for Hire Agreement (Writer) Work for Hire Agreement for a writer. Inventions & Research Agreements Combo Package Get 3 forms for just $39.95. Save 33%! Popular Our very popular Invention and Research Agreement forms together in a convenient packet Patent License Agreements & Assignments Combo Package Get 5 forms for just $39.95. Save 37%! Popular Our very popular Patent License Agreement and Assignment forms together in a convenient packet Copyright License Forms Combo Package Get 6 forms for just $39.95. Save 67%! Our most popular Copyright License Agreements and related forms together in one convenient package. Patent License Agreements & Assignments Combo Package Get 5 forms for just $39.95. Save 37%! Popular Our very popular Patent License Agreement and Assignment forms together in a convenient packet Trademark Tradename Combo Packages Get 4 forms for just $39.95. Save 41%! This Trademark Tradename Combo Package is designed for use in all states. This combo package is available for immediate download. 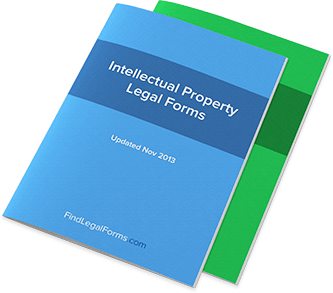 Intellectual Property Assignments Combo Get 5 forms for just $39.95. Save 41%! This Intellectual Property Assignment Combo Package is designed for all states. This combo package is available for immediate download. Imagine this: you write a screenplay and you know it’s going to be the next big hit. You send it out to some production companies and it gets turned down. Rejected, you turn to something else – only to see that one of the production companies has essentially stolen your screenplay and started filming! That’s theft no matter which way you look at it. And just because intellectual or creative property is not as tangible as more physical assets like precious metals or land does not mean that you shouldn’t take precautions to avoid the type of scenario you just saw above. That’s why you need to keep these three intellectual assets copyrighted if you’re going to make the big bucks for your creative work that you know you deserve. Screenplays, novels, short stories, nonfiction books – it all needs to be protected if you’re going to ensure that all of your hard work in creating something of real value (and real length) is not going to end up in the wrong hands. You may think that you’re protected simply by being able to show that you created your piece first – but how can you really prove that for sure unless you’re copyrighted at a certain date? The copyright is what truly holds up in courts of law, and it’s exactly what you should be after if you’ve written something creative that cost you a lot of time and effort. You know how every commercial and advertisement seems to have a little piece of artwork next to the words that says something like “TM” or “R”? That’s because the people who took the time to come up with the slogan or create the advertisement were also smart enough to place a copyright on their work, thus ensuring that their creative endeavors in marketing their product cannot be directly copied by their competition. Yes, not every commercial we see on TV is Grade-A material. But if you plan on making a mark in the advertising world, you’d better make sure that your ad campaigns are properly protected as intellectual property by law; you don’t want to lose your brand identity simply because you couldn’t take the time to trademark. (It’s worth noting that trademarks are different than copyrights). We live in a world where much of the innovation is happening on computers and online. In these cases, the lack of “hard copies” to steal makes designers and developers of software especially open to intellectual property theft. And when you consider the fact that software is easy to copy and steal with the click of the mouse – well, the logic begins to add up. That’s why every piece of software you produce should be copyrighted as if you had drafted a screenplay or published a book. The software you design should have the potential to earn you money if you want; either way, the decision should be up to you because the software needs to be your property. That can happen with a simple copyright.